Our laboratory mainly focuses on the cytokinin signal transduction network and functional genomics by the use of Arabidopsis thaliana as a model system. Cytokinin is one of the so-called "classic" plant hormones, and plays an essential role in almost all aspects of plant growth and development. Despite of many years' efforts, very little is known about the genetic control and molecular mechanism of the cytokinin action as well as biosynthesis of the hormone. Using a functional screening strategy, we have been able to identify and characterize several Arabidopsis mutants (designated as plant growth activator or pga mutants) with an altered cytokinin response. We are taking a combined genetic, molecular, cellular, biochemical and genomic approach to functionally characterize pga1 and pga22 mutants, both of which show typical cytokinin response. On the other hand, we are also screening for suppressor mutants of pga1 and pga22. In long term, these studies will be able to provide important and, possibly, critical clues for our understanding on the molecular mechanism of cytokinin signaling, and have substantial impacts on agronomic applications. The completion of the Arabidopsis genomic sequencing project by an internationally collaborative effort and of the rice genomic sequencing project by Chinese scientists, dominantly by researchers in our Institute, represents a major advance in plant biology. Similar to that in other model species (e.g., yeast, Drosophila and C. elegans), we are now challenged to uncover the function of these seemingly-random assembled nucleotide sequences during the post-genome era. To reveal the precise function of a gene, mutational analysis is a classic approach and, up to date, is still the most powerful tool. A national-wide collaborative project on Plant Functional Genomic was launched on in 2001, mainly sponsored by The Ministry of Science and Technology of China and NSCF. One of the major efforts of the Project is to generate large mutant collections of both Arabidopsis and rice. In contrast to that employing the conventional T-DNA insertional mutagenesis or a constitutive enhancer/promoter-based activation tagging approach, we are using the tightly-controlled and highly-inducible XVE expression system (Zuo et al., Plant J., 24:265, 2000) to generate our mutant collections. The advantage of this inducible expression tagging system will allow us to recover mutations that cause severely developmental defects or even lethality by inducer withdrawal. The Arabidopsis project, coordinated by our laboratory, is expected to complete in 2005 by generating approximately 130,000 mutants. Our laboratory is also a member of the Rice Project team. 9. Hu, J., Huang, X., Chen, L., Sun, X., Lu, C., Zhang, L., Wang, Y., and Zuo, J. (2015). Site-specific nitrosoproteomic identification of endogenously S-nitrosylated proteins in Arabidopsis. Plant Physiol, 167:1604-1615. 8. Zuo, J., and Li, J. (2014). Molecular genetic dissection of quantitative trait loci regulating rice grain size. Annu Rev Genet, 48: 99-118. 10. Guan, C., Wang, X., Feng, J., Hong, S., Liang, Y., Ren, B., and Zuo, J. (2014). Cytokinin antagonizes abscisic acid-mediated inhibition of cotyledon greening by promoting the degradation of ABI5 protein in Arabidopsis. Plant Physiol, 164: 1515-1526. 11. Zuo, J., and Li, J. (2014). Molecular dissection of complex agronomic traits of rice: a team effort by Chinese scientists in recent years. Nat Sci Rev, 1: 253-276. 13. Li, Y., Chen, L., Mu, J. and Zuo, J. (2013) LESION SIMULATING DISEASE1 interacts with catalases to regulate hypersensitive cell death in Arabidopsis. Plant Physiol. 163: 1059-1070. 14. Zheng, H., Li, S., Ren, B., Zhang, J., Ichii, M., Taketa, S., Tao, Y., Zuo, J., and Wang, H. (2013) LATERAL ROOTLESS2, a cyclophilin protein, regulates lateral root initiation and auxin signaling pathway in rice. Mol Plant. 6: 1719-1721. 16. Feng, J., Wang, C., Chen, Q., Chen, H., Ren, B., Li, X., and Zuo, J. (2013) S-nitrosylation of phosphotransfer proteins represses cytokinin signaling. Nat Commun. 4: 1529. 17. Mu, J., Tan, H., Hong, S., Liang, Y., and Zuo, J. (2013) Arabidopsis transcription factor genes NF-YA1, 5, 6 and 9 play redundant roles in male gametogenesis, embryogenesis and seed development. Mol Plant. 6: 188-201. 18. 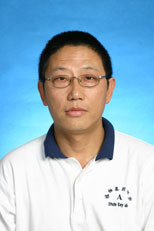 Tan, H., Yang, X., Zhang, F., Zheng, X., Qu, C., Mu, J., Fu, F., Li, J., Guan, R., Zhang, H., Wang, G., and Zuo, J. (2011). Enhanced seed oil production in canola by conditional expression of Brassica napus LEAFY COTYLEDON1 and LEC1-LIKE in developing seeds. Plant Physiol. 156: 1577-1588. 20. Wang, X., Xue, L., Sun, J., Zuo. J. (2010) The Arabidopsis BE1 gene, encoding a putative glycoside hydrolase localized in plastids, plays crucial roles during embryogenesis and carbohydrate metabolism. J Integr Plant Biol. 52: 273–288. 21. Chen, R., Sun, S., Wang, C., Li, Y., Liang, Y., An, F., Li, C., Dong, H., Yang, X., Zhang, J., and Zuo, J. (2009) The Arabidopsis PARAQUAT RESISTANT2 gene encodes an S-nitrosoglutathione reductase that is a key regulator of cell death. Cell Res. 19: 1377-1387. 22. Ren, B., Liang, Y., Deng, Y., Chen, Q., Zhang, J., Yang, X., and Zuo, J. (2009) Genome-wide comparative analysis of type-A Arabidopsis response regulator genes by overexpression studies reveals their diverse roles and regulatory mechanisms in cytokinin signaling. Cell Res. 19: 1178-1190. 25. Mu, J., Tan, H., Zheng, Q., Fu, F., Liang, Y., Zhang, J., Yang, X., Wang, T., Chong, K., Wang, X., and Zuo, J. (2008) LEAFY COTYLEDON1 is a key regulator of fatty acid biosynthesis in Arabidopsis thaliana. Plant Physiol. 148: 1042-1054. 27. Feng, H., Chen, Q., Feng, J., Zhang, J, Yang, X., and Zuo, J (2007) Functional characterization of the Arabidopsis eukaryotic translation initiation factor 5A-2 (eIF-5A-2) that plays a crucial role in plant growth and development by regulating cell division, cell growth and cell death. Plant Physiol. 144: 1531-1545. 31. Sun, J., Hirose, N., Wang, X., Wen, P., Xue, L., Sakakibara, H., and Zuo, J. (2005) The Arabidopsis SOI33/AtENT8 gene encodes a putative equilibrative nucleoside transporter that is involved in cytokinin transport in planta. J Integrat Plant Biol. 47: 588-603. 33. Zuo, J., Niu, Q., Ikeda, Y., and Chua, N.-H. (2002) Marker-free transformation: Increasing transformation frequency by the use of regeneration-promoting genes. Curr Opin Biotechnol. 13: 173-180. 34. Zuo, J., Hare, P.D., and Chua, N.H. (2006) Applications of chemical-inducible expression systems in functional genomics and biotechnology. In “Methods in Molecular Biology-Arabidopsis Protocols”, eds. Salinas, J., and Sanchez-Serrano, J.J., pp 329-342. Humana Press, NJ. 35. Zuo, J., Niu, Q., Frugis, G., and Chua, N.-H. (2002) The WUSCHEL gene promotes vegetative-to-embryonic transition in Arabidopsis. Plant J. 30:349-359 (cover story). 36. Zuo, J., Niu, Q., Moller, S., and Chua, N.-H. (2001) Chemical-regulated, site-specific DNA recombination in transgenic plants. Nat Biotechnol. 19: 157-161. 37. Zuo, J., Niu, Q., Nishizawa, N, Wu, Y., Kost, B., and Chua, N.-H. (2000). KORRIGAN1, an Arabidopsis 1,4-b-glucanase localizes to the cell plate by polarized targeting and is essential for cytokinesis. Plant Cell 12: 1137-1152. 38. Zuo, J., Niu, Q., and Chua, N.-H. (2000) An estrogen receptor-based transactivator XVE mediates highly inducible gene expression in plants. Plant J. 24:265-273. 39. Zuo, J., and Chua, N.-H. (2000) Chemical-inducible systems for regulated expression of plant genes. Curr Opin Biotechnol. 11: 146-151. 40. Zuo, J., Rungger, D., and Voellmy, R. (1995) Multiple levels of regulation of human heat shock transcription factor 1. Mol Cell Biol. 15: 4319-4330. 41. Zuo, J., Baler, R., Dahl, G., and Voellmy, R. (1994) Activation of the DNA-binding ability of human heat shock transcription factor 1 may involve the transition from an intramolecular to an intermolecular triple-strand coiled-coil structure. Mol Cell Biol. 14: 7557-7568. 42. Tatzelt, J., Zuo, J., Voellmy, R., Scott, M., Hartl, U., Prusiner, S.B., and Welch, W.J. (1995) Scrapie prions selectively modify the stress response in nuroblastoma cells. Proc Natl Acad Sci USA. 92: 2944-2948. 43. Hedge, R. F., Zuo, J., Voellmy, R., and Welch, W.J. (1995) Short circuiting stress protein expression via a tyrosine kinase inhibitor, herbimycin A. J Cell Physiol. 165: 186-200. 44. Xia, W., Guo, Y., Vilaboa, N., Zuo, J., and Voellmy, R. (1998) Transcriptional activation of heat shock factor HSF1 probed by phosphopeptide analysis of factor 32P-labeled in vivo. J Biol Chem. 273: 8749-8755. 45. Ananthan, J., Baler, R., Morrissey, D., Zuo, J., Lan, Y., Weir, M., and Voellmy, R. (1993) Synergistic activation of transcription is mediated by the N-terminal domain of Drosophila fushi tarazu homeoprotein and can occur without DNA binding by the protein. Mol Cell Biol. 13: 1599-1609.